The Founder of the Eastwood Anaba Ministries and Head Pastor of the Fountain Gate Chapel, Rev. Eastwood Anaba has heaped plaudits on the Vice President, Dr. Mahamudu Bawumia, describing him as a man of prudence, patience and purpose. Rev. Eastwood Anaba made these remarks on the Vice President’s of Ghana during a church service to mark the end of the year 2018 at a special Watch night Service at the Church’s Desert Pastures Branch at Bolgatanga in the Upper East Region on 31st December, 2018. In a fully filled and spiritually charged auditorium, Rev. 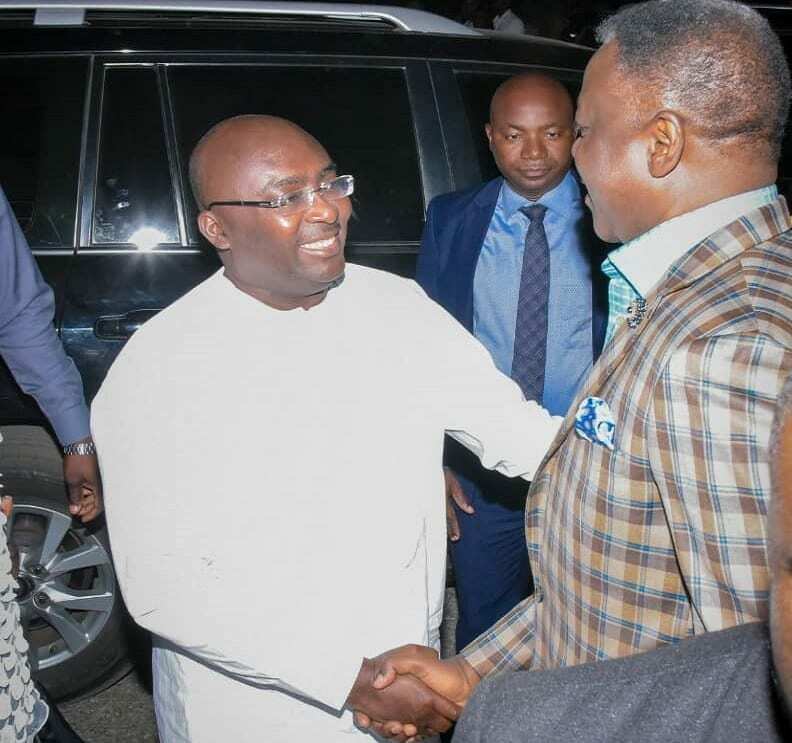 Anaba narrated his first encounter with Dr. Bawumia extolling his humility as something that all must be jealous of. “When I met him his demeanor and humility were awesome. I am a holder of Bachelor’s degree in pharmacy but when I saw the humility of the doctor (Ph. D) I felt like I should be more humbled. Because the humility of the doctor was just fascinating, Rev. Eastwood observed. “Some few years ago I was traveling and I met the humble man, Dr. Bawumia at the airport. We got to the plane together talked for a while and we arrived and we all scattered. And over the years I saw him with his personal work rate. But of course definitely with the benefit of the DNA of his father, the legendary Bawumia he had acceleration instead of inertia”, Rev. Anaba narrated.